Laura Ingraham upset many in the hip-hop community on Saturday as she went into a rant on her Fox show about Nipsey Hussle and his death. Nipsey was laid to rest and Ingraham had some harsh words for the rapper in light of just how big his service was. Ingraham, who is obviously ignorant to hip-hop and the culture, thought that Nipsey was the one behind the song "F*** Donald Trump," when in reality, we all know it's YG. Ingraham's comments didn't go over very well as people like The Game and Michael Rapaport were quick to condemn her for her hateful rhetoric. The Game even went as so far as to say "So lemme tell you what’s going to happen here, @foxnews fires this disrespectful c**t by tomorrow, Monday morning or you will lose millions of viewers one person at a time until it drastically effects your ratings, views etc." 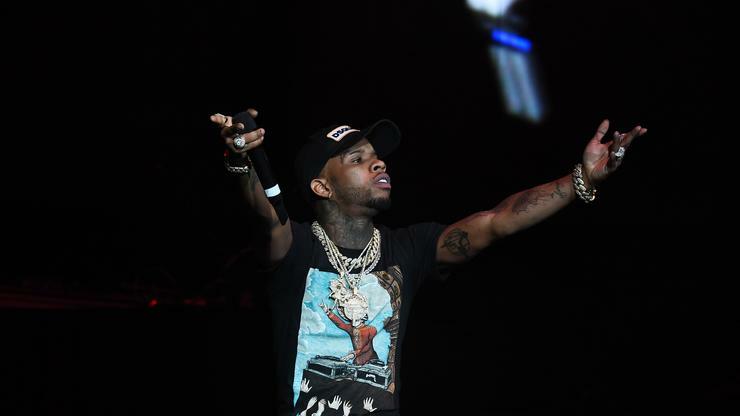 Now, Tory Lanez is entering the fray with some words for Ingraham. On Instagram, Tory posted a picture of himself with a simple, yet effective caption: "F*** YOU LAURA FROM @foxnews LIKE SINCERELY FROM THE BOTTOM OF MY HEART .. F*** YOU." Conservative pundits are taking huge L's this week and Ingraham is no exception. It's only a matter of time before more artists follow suit and give Laura the business.